Cleaning ingredients vary in the type of health hazard they pose. Some cause skin or breathing irritation, watery eyes, or chemical burns, while others are associated with long-term effects such as cancer. The most dangerous cleaning products are corrosive drain cleaners, oven cleaners, and acidic toilet bowl cleaners. When combined, chemicals are even more dangerous. Deadly fumes result from mixing ammonia with bleach (both found in many household products) and creating lethal “mustard gas”. 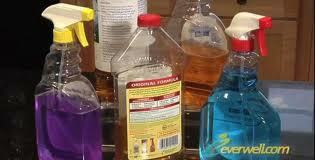 *25 gallons of toxic hazardous chemical products are used in the home every year in the form of household cleaners. *Women who work in the home have a 54% higher death rate from cancer (due to exposure to household cleaners and air fresheners) than women working outside the home. *Cancer rates in 1901 were 1 in 8000. Today it is 1 in 3 (with expectations of rising to 1 out of 2). 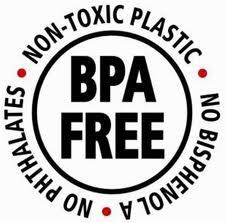 *Only 1% of the toxins used in the cleaning products are required to be on the label. *There have been more than 75,000 chemicals introduced since the 1960’s with more than 2000 new synthetic chemicals being registered every year. *Over 300 synthetic chemicals have been found in the tissues of adults and newborns. These chemicals can be found in every tissue of the body within 20 seconds of exposure! If the body can’t get rid of them, they may be stored in fatty tissue indefinitely, emitting toxic substances the whole time. *In 2000, 7.1 billion pounds of toxins from 650 different industrial chemicals where dumped into our water and air. *More than 32 million pounds of household cleaning products are poured down the drain every day. These toxic substances are not removed at the sewage treatment plant and are finding their way into our water supply, rivers, and streams. 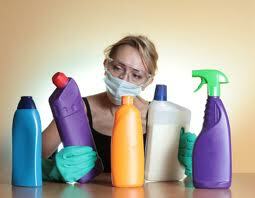 *In 2000, cleaning products were responsible for nearly 10% of all toxic exposures reported to U.S. Poison Control Centers, accounting for 206,636 calls. Of these, 120,434 exposures involved children under six, who swallowed or spilled cleaners stored or left open inside the home. *One application of a household cleaner can leave dangerous chemicals lingering in the air for hours at a time. Nonylphenol ethoxylates (NPEs), a common ingredient in laundry detergents and all-purpose cleaners, are banned in Europe, and known to be a potent endocrine disrupter. It’s already thought to be the cause of male fish transforming into females in waterways around the world! Butyl cellosolve, found in many all-purpose and window cleaners. May damage kidneys, bone marrow, liver and nervous system. Synthetic musks: Widely used in detergents, fabric softeners and air fresheners (along with perfume), these compounds have been found in 36 of the 52 people tested by Environmental Working Group (EWG)/Commonweal studies. They have been found in the breast milk of American mothers, which has raised increasing concerns about their safety. Synthetic musks are suspected endocrine disruptors and at least one, tonalide, prevented cells from blocking entry of toxins in an animal study. These chemicals are widely used in household cleaners, air fresheners and plastics. 1,4-dichlorobenzene: Found in air fresheners, toilet bowl cleaners, and other household cleaning products, 1,4-dichlorobenzene is present in the blood of nearly all Americans. Along with being linked to lung damage it is known to cause organ system toxicity. Terpenes: Commonly used in household cleaners with pine, lemon or orange scents, terpenes interact with ozone in the air to produce toxic substances similar to formaldehyde, a known carcinogen. Benzene: Also common in cleaning agents, benzene is a known human carcinogen and has been linked to increased risk of leukemia and other blood diseases, along with organ system toxicity. Styrene: Linked to cancer, birth or developmental effects, organ system toxicity, and problems with reproduction and fertility, this is another chemical found in far too many household cleaning products. Butyl cellosolve, found in many all-purpose and window cleaners, may damage your kidneys, bone marrow, liver and nervous system. Triclosan, the active ingredient in most antibacterial products, not only kills bacteria, it also has been shown to kill human cells. “Green” Cleaning Products May NOT Be Green! The terms “green” and “natural” are nothing more than marketing terms used by multinational corporations to manipulate the image of their products. Clorox Green Works Natural All-Purpose Cleaner, Simple Green, and Purex Natural Elements are not safe. AJAX Cleanser and Lysol Disinfectant are listed in the top 12 cancer causing products found in the home! Glycol ether is a generic term for over thirty solvents derived from crude oil, all with different properties, which are used in applications ranging from paints to inks to degreasing agents and cleaning products. Glycol ethers are hazardous when they get on your skin or when they get in your lungs. This is especially true with cleaning products, which are often applied indoors and without proper ventilation..
Rule of Thumb: if a substance cuts through grease and dirt any faster than soap and water, then there are chemicals in there that most likely not safe or healthy. Your welcome! Please spread the information to EVERYONE you know. The next 2 articles will be about personal hygiene products and how what we think affects us energetically. Thank you for the kind words! Please spread the information to EVERYONE you know. The next 2 articles will be about personal hygiene products and how what we think affects us energetically. We can make a difference in the world, 1 person, 1 pet, 1 action at a time!